Many of us have stepped over those bronze medallions set in the sidewalk throughout San Francisco and are curious as to why they are there and what they represent, but have never bothered to take the time to find out what the real story is behind them. The Barbary Coast Trail is a walking path connecting 20 of San Francisco's most important historic sites and local history museums. Approximately 180 bronze medallions and arrows embedded in the sidewalk mark this 3.8 mile trail. The historic sites of the Barbary Coast Trail relate primarily to the period of the California Gold Rush of 1849 to the earthquake and Fire of 1906, a period when the city grew from a small village to the busiest port on the West Coast. Sites along the trail include the Old Mint, Union Square, Maiden Lane, Old St. Mary's Church, T'ien Hou Temple, Wells Fargo History Museum, Pony Express Headquarters, Old Ship Saloon (once a shanghaiing den), Jackson Square Historic District (where you can still see the last cluster of Gold Rush and Barbary Coast-era buildings in San Francisco), Coit Tower, Fisherman;s Wharf, the Maritime National Historic Park (which maintains a large collection of historic ships), and Ghirardelli Square. Each end of the Barbary Coast Trial is connected by the historic Hyde-Powell cable car line. The Barbary Coast Trail was founded by local historian Daniel Bacon in collaboration with the San Francisco Historical Society. The trail was inaugurated in 1998 and was originally marked with painted images.The first 150 bronze medallions to make the trail were installed by 2000, designed by Daniel Bacon and illustrator Jim Blair. From devastation to dynamic rebirth, this tour showcases San Francisco's rising after the 1906 Earthquake and Fire. You will learn about Union Square, which evolved from a remote sand dune to what is now the commercial center of the city;stroll down Maiden Lane, and explore the narrow streets and alleyways of the oldest Chinatown in the United States. From the birthplace of the Gold Rush and the village of Yerba Buena, walk Commercial Street to the original shoreline, the Pony Express headquarters site, the grave of a Gold Rush era ship, and the Jackson Square historic district where Gold Rush and Barbary Coast-era buildings remain. Finally, visit the notorious Barbary Coast, home to the Shanghaiiers, vigilantes, and "Terrific" Street. Explore the artistic and cultural traditions of North Beach, from Italian immigrants to free-spirited Beats. Visit Washington Square in the heart of North Beach and Coit Tower, where historic Depression-era murals picture San Francisco's tumultuous past. Explore San Francisco's past as a port city and cover the waterfront from the days of sail to the era of the longshoreman. 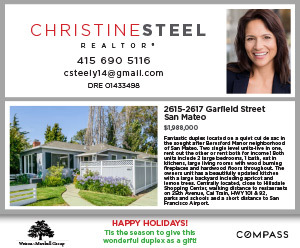 Follow the Great Seawall, San Francisco's largest public waterworks project, to Fisherman's Wharf, past two WWII vessels and the Hyde Street Pier, boasting the largest collection of historic ships in the United States. The tour ends at the Streamline Moderne Aquatic Park bathhouse, home to the San Francisco Maritime Museum. Guided tours are free for SFMHS members and $15 for non-members. Reservations are required; call 415-537-1105 ext.0, or email rsvp@sfhistory.org. 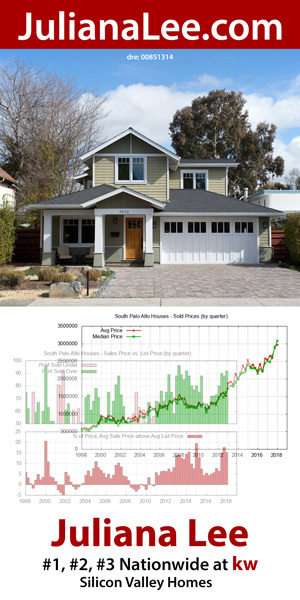 See calendar for upcoming tours. 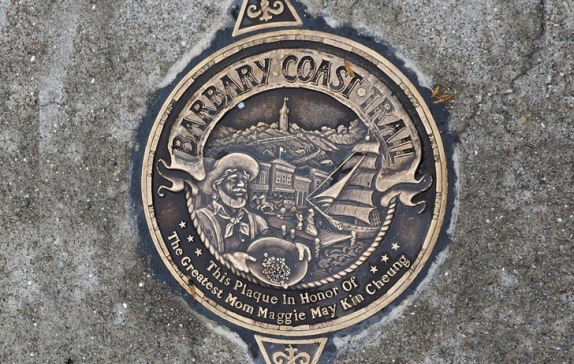 The Barbary Coast Trail can be a self-guided walking tour, using a printable map or a trail guide. For more information go to www.barbarycoasttrail.org.